Excuse Derick Brassard for having a little difficulty finding his bearings after the veteran centre took an unorthodox cross-country route in reaching the NHL playoffs. 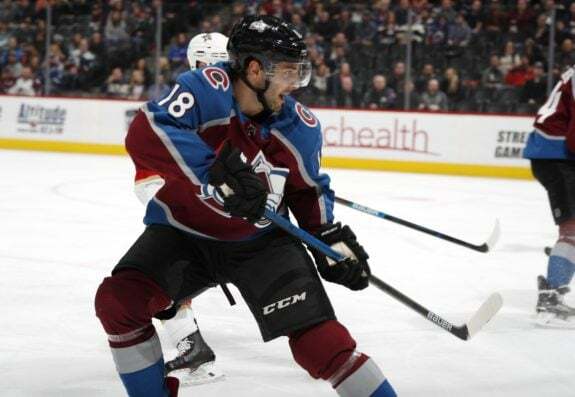 Starting the season with the Pittsburgh Penguins, Brassard was traded to the Florida Panthers, where he spent 10 games before landing in Colorado in time to help the Avalanche’s late-season surge to clinch the Western Conference’s eighth and final playoff berth. Brassard is also re-adjusting to centre after playing on the wing in Florida. 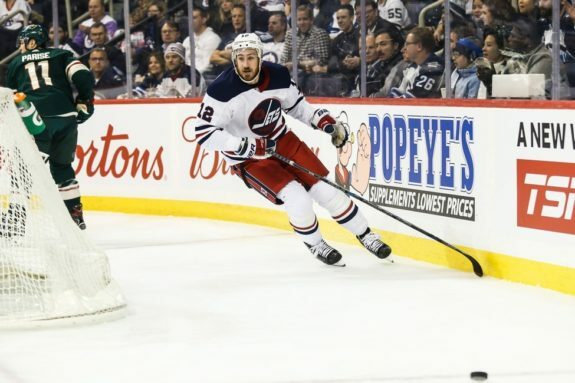 The Winnipeg Jets led the way in completing six trades, including acquiring veteran centre Kevin Hayes from the New York Rangers. 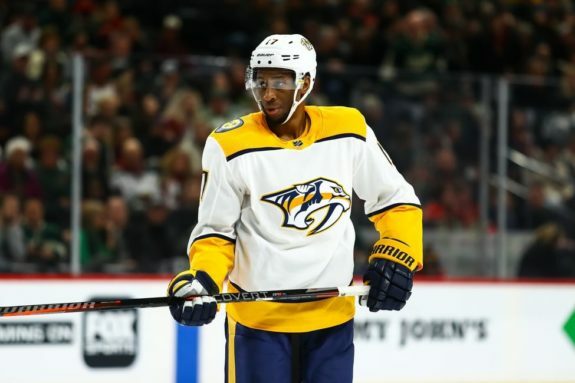 the Central Division rival Nashville Predators responded by acquiring forwards Mikael Granlund from the Minnesota Wild and Wayne Simmonds from the Philadelphia Flyers. The Vegas Golden Knights struck what was the most impressive deal by landing forward Mark Stone in a multiplayer trade with the Ottawa Senators. 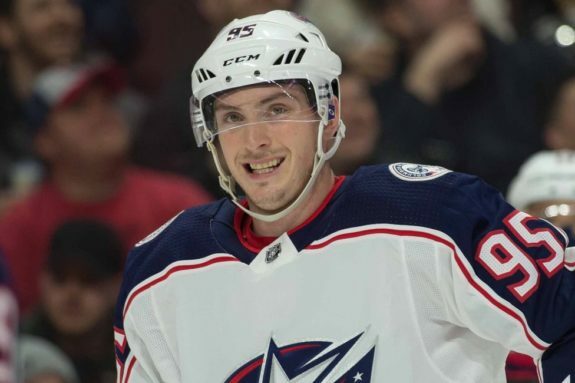 The trades don’t include various deals struck in the days leading up to the deadline, such as the Columbus Blue Jackets’ addition of Matt Duchene and Ryan Dzingel in separate swaps with Ottawa. And while other teams were wheeling and dealing, teams such as the Presidents’ Trophy-winning Tampa Bay Lightning elected to stand pat. The Lightning roster was already deep and talented at all positions. Of the 16 playoff teams, only two — Pittsburgh and Colorado — were sitting outside the top eight spots in the conference standings on Feb. 25. The Montreal Canadiens dropped out in the East and Minnesota in the West. The Jets’ additions failed to push them ahead of the Predators in the race for the Central title, though they were enough to keep Winnipeg ahead of the late-charging St. Louis Blues. Winnipeg was a point behind Nashville on Feb. 25 and finished the season in the same position. Jets general manager Kevin Cheveldayoff, however, believes his team is better prepared in opening the playoffs against the St. Louis Blues. Add in the likes of Duchene, Dzingel and defenceman Adam McQuaid, and the Blue Jackets believe they have the depth for a daunting first-round matchup against Tampa Bay. In Washington, the defending Stanley Cup champions benefited by adding forward Carl Hagelin and defenceman Nick Jensen. 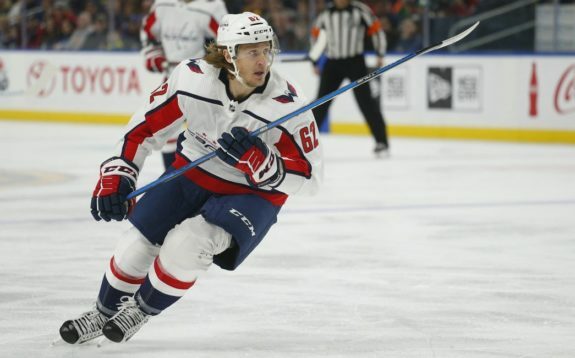 Hagelin, a trusted two-way forward, had three goals and 11 points in 20 games with the Capitals after combining for just eight points in 38 games split between Pittsburgh and the Los Angeles Kings. Jensen’s addition is even more important with defenceman Michal Kempny sidelined with a lower body injury.